It might be bizarre to read but it is true that Google has patented a sticky layer technology. This layer will be hidden under a protective coating and reduce the injuries caused to the pedestrians in case of an accident. In case of an accident, the victim will be stuck to the front end of the vehicle instead of being thrown off by the impact. This will save the victim from incurring any secondary injury by being hit by another car and then falling on the tarmac. 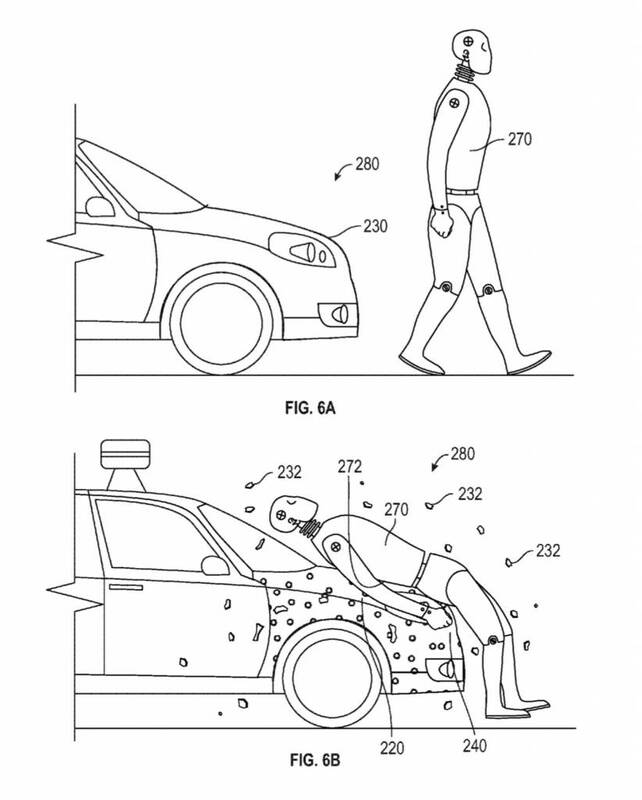 Granted on May 17, 2016, the patent states, "The adhesive bonds the pedestrian to the vehicle so that the pedestrian remains with the vehicle until it stops, and is not thrown from the vehicle, thereby preventing a secondary impact between the pedestrian and the road surface or other object." It should be noted that Google is not the first company to come up with a pedestrian safety solution. The Jaguar XF gets a pedestrian contact sensing system which raises the bonnet by a small angle to reduce the impact in case of an accident. While companies like Volvo and Land Rover have devised exterior airbags which deploy in case there is a contact between the pedestrian and the vehicle. Google has still not mentioned if it plans to use the same technology on its self-driving cars too.